The A2 camera is designed to meet the demands of being have to output supper low latency video (for real time FPV) at less than 60ms, while still being able to record HD video at 1080p. In addition this is a super small and lightweight package to fit on just about any FPV quadcopter. The camera itself uses a 4M Pixel sensor with WDR to allow you to clearly see everything in the image. The lens is a 145degree wide angle. 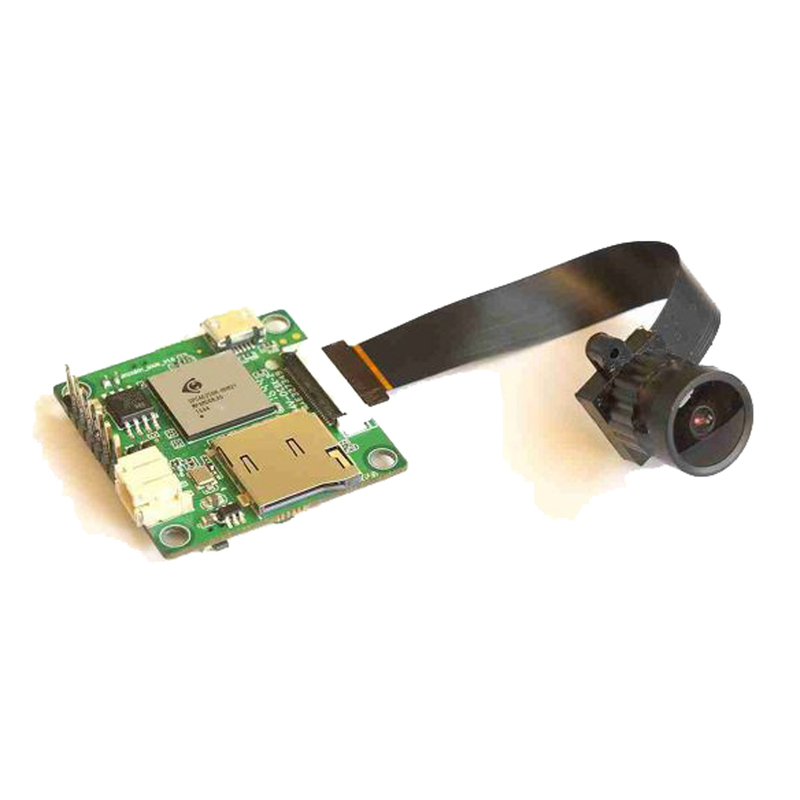 The main PCB of this camera uses the same 30.5×30.5mm standard mounting holes as many flight controllers to allow this to fit onto your flight stack, while the lens includes a ribbon cable to so you can mount it in a convenient location. The lens/sensor can be easily replaced should it get damaged in a crash so you dont have to ever replace the image processing DSP on the main PDB.eroo. * Firmware upgradeable via SD card. * Speical designed FPV Camera, with WDR AV output for Video transmitter and record HD video(1080P 60FPS) on SD Card. * Controller board using 30.5×30.5mm standard mounting holes, Lens/Sensor could be exchanged when defect. * Wide angle (145degree) Lens and OV4689 1/3 CMOS Sensor (4M) incl.